Harvard University is nearly doubling its contribution toward new train service in Allston, disappointed with the state’s plans to delay the opening of a new commuter station there. The threatened delay had caused concerns at Harvard, which wants to develop more than 130 acres it owns in Allston, and among residents and other commuters who have long lobbied for more public transportation in the neighborhood. 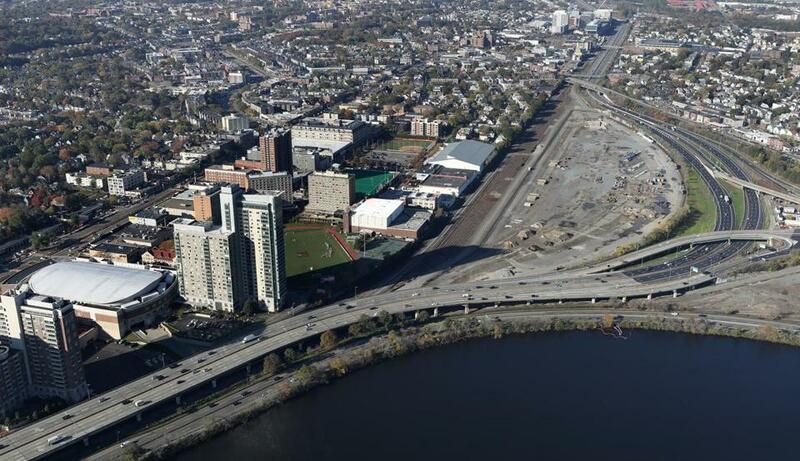 The highway realignment will make it much easier to build on the land, setting the stage for one of Boston’s most ambitious, and closely watched, urban redevelopment projects. Harvard had previously said it would pay for one-third of West Station’s cost, which initial estimates pegged at $25 million. The university stood by its one-third commitment even as the project ballooned in price — and scope — to just under $100 million. 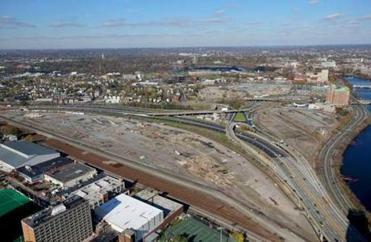 Neighbors and analysts fear the area around the former railyard could become the new Seaport — highly developed but without the transportation to match. Now, Harvard says it’s willing to contribute $50 million, or more than half of the project’s cost. Harvard said it will also contribute up to $8 million to build an interim station along the Framingham/Worcester commuter rail line that runs through the area. Harvard officials say they hope that money would largely cover the cost of the short-term station. Harvard’s executive vice president Katherine Lapp outlined the university’s new commitments in the letter to Stephanie Pollack, the state’s secretary of transportation. The Globe obtained the letter, which was sent this week. Lapp wrote that Harvard officials hope state transportation officials will consider the years of inconvenience the neighborhood will endure during the Mass. Pike project as they weigh Harvard’s request for an interim station. Lapp also highlighted the investments the university has made in acquiring the land near the turnpike that had once been primarily used by freight railroad operator CSX. “The end result of these 15 years of investment and activity is the largely vacant rail yard that is now available for MassDOT to consider as part of this project,” Lapp wrote. She added that Harvard officials recognize one of the reasons for the state agency’s uncertain timing with regard to West Station: The demand for the station will only become clear as the university’s development plans advance. State officials are eager to get started on the I-90 project, which could cost as much as $1 billion, because of the deteriorated condition of the turnpike viaduct in that area. Lapp raised at least one major concern with the state’s plans. The transportation agency is proposing to temporarily double the amount of space for commuter trains to be parked when they’re not in use, then pare that capacity back to make way for a full-fledged West Station. Those plans complicate the West Station project because they are predicated on the agency finding a new place to park those trains. MassDOT spokeswoman Jacquelyn Goddard issued a brief statement expressing appreciation for the increased pledge but making no commitments about the timing of new station. The statement said the department first needs to assess projected regional development, ridership demand, and how a new station would affect service. Harvard’s decision follows a letter that five city and state elected officials sent to a state environmental agency, as part of a review of the realignment project, complaining about the station delay. In that letter, the politicians called on Harvard to increase its contribution. “I think they realized they need this to happen as much as everybody else does,” Moran, a Democrat who represents the neighborhood, said of Harvard. Moran also said there should be more than enough room for both the bare-bones interim station and train storage. Activists in Allston are planning to rally in the neighborhood Thursday as part of their campaign to have West Station built sooner. One of those activists, Harry Mattison, said it’s “a step forward” for Harvard to pledge money for an early version of the station, but he questioned whether it would be enough to persuade state officials. “The real question is how MassDOT sees it,” he said. It’s unclear what role Boston University, whose campus is on the southern border of the project, would play in West Station’s finances. BU agreed to pay for a third of West Station’s cost when estimates pegged it at $25 million. “We continue to support the construction of a multi-modal West Station, and we look forward to both discussing these new developments with the community, the state, the city, and Harvard, and determining how BU can help,” BU spokesman Colin Riley said in a statement. West Station’s price tag increased from $25 million in 2014 to nearly $100 million as ambitions for the station grew. It was once imagined as just a traditional commuter station on the way to South Station. But now officials envision a station with a large bus terminal, as well as a departure point for trains that could connect to Cambridge and North Station over an old rail bridge across the Charles River. In its letter, Harvard also expressed interest in a north-south bus route that could connect Cambridge and Allston to Commonwealth Avenue and the Longwood Medical Area — an idea long supported by the neighborhood but that was not included in the state’s plans. BU once said it was opposed to such a passage running through its campus but has since said it would support the connection. Chesto can be reached at jon. chesto@globe.com. Vaccaro can be reached at adam.vaccaro @globe.com.